Premiere users who posted in the topic "Where do you want to live your life!" You have on the forum the list of the winning users for posting in the topic "Where do you want to live your life?" Congratulations to all who have received bonus points! You're the primary ... what are you up to? The new topic is "Are you a primary ... what are you up to?" Post a reply and you can earn bonus points. We inform you that starting with October 15th of 2018, the Hit & Run system will be implemented. So we will continue to be ratioless, just focusing on seedtime. All those who will be found to be in breach of this regulation will be punished according to RULES --> the Hit & Run section. We want to let you know that we will reset the current Hit & Run percent to everyone, so all users will start from 0%. Thank you for joining us, and once again we wish you to keep a hit & run level as low as possible! Contest - What do you know about the IceTorrent tracker? 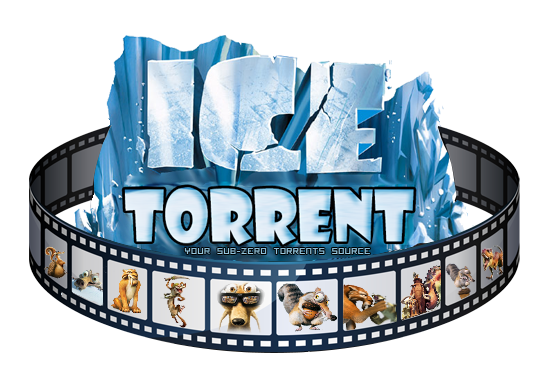 We will continue here The contest - about the IceTorrent tracker. This is the weekly question, the third, related to everything that this tracker means. All users who respond correctly will participate in a draw. The prize consists of bonus points, depending on the difficulty of the question. The contest is open until after the winter holidays. What are the conditions that you promote as a user in the class you currently have on tracker, or, if you are a "user" class, how can you promote in class immediately superior? "Maintenance. We'll be back... soon." Almost everything is resolved, the torrents will soon be seeded, please do not delete them from the bittorrent client. Results for contest "Are you primary, what are you thinking?" Here are the results for the contest "Are you primary, what are you thinking?" Congratulations to the winners !!! We have a new topic that I ask you not to ignore. Share from your experience of movies and serials here. Try something new for these celebrations, a photo. I'm waiting for you with points ... on the forum, at the Contests section - This year's photo shoot. Thanks for your support and sharing through year 2018! We hope you were good this year! On St. Nicholas Day, the ICE staff wishes to all friends (because we consider all of you friends) good health, many healthy years and a time rich in feelings along with loved ones! We love you! We work from the heart to give you the latest releases from all fields! We look forward to being with you as much time as possible via download, chat, forum and radio !!! HAPPY BIRTHDAY!!! Our dear ICELOVER - we are initiating a new contest with the title: THE FILM OF THE YEAR 2018! - winners will be all who will find one or more of their personal top-end films. The more, the higher the prize! -for a movie, 10000 (ten thousand) bonus points are awarded! WE WOULD LIKE TO WISH ALL SUCCESS! PS1: THOSE WHO DO NOT RESPECT THE RULES MENTIONED ABOVE ARE AUTODISQUALIFIED! PS2: THE COMPETITION IS ADDRESSED TO ALL USERS: FROM HAHALERA TO OWNER! Merry Christmas and a Happy New Year from ICE Torrent team! The light of Jesus' birth extends from one house to another, from one heart to another, and the warmth and joy of Christmas brings us all closer! Happy Christmas and Happy Birthday! At the turn of the years, people are getting used to making balances! What was good and what was not! I just want to thank all users of this tracker for your presence here with us, sfaff, for seriousness, thank you messages, comments, tips, remarks and tips. Thanks to those who helped us through donations and those who stayed and are sitting at seed! Thanks to all the staff, outside and out of the tracker who supported me on the tracker in all my steps here! Thanks to all colleagues, uploaders for their efforts to maintain a high standard of our tracker - both through uploading materials as well as functionality and aesthetics! I wish you all for many years, a lot of health and beautiful moments with those who love you! Call your friends to join our community! Let us review ourselves well in 2019 with beautiful materials for you! Happy New Year from ICE Torrent team! ICE Torrent wishes you a Happy New Year 2019! Results for "This year's holiday photo" contest here. Congratulations to those who have received the bonus points offered as a prize! k*** is the first prize winner for posting on the topic Share your preferences: film & serial A New Year gift! Bravo!